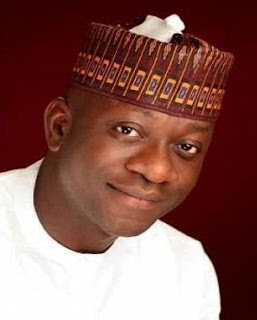 Speaker of the House of Representatives, Yakubu Dogara, has given sacked chairman of the House committee on Appropriation, Abdulmumin Jibrin, a 7-day ultimatum to retract all the allegations of corruption padding he leveled against him since he was sacked form office or face legal action. ‘REQUEST FOR A RETRACTION AND AN APOLOGY OF A LIBELOUS PRESS STATEMENT ISSUED BY YOU ON MONDAY 25TH JULY, 2016’, noted that the claims of the former Appropriations chairman, who was removed for padding the budget and other actions, that the speaker is corrupt and abuses his office is aimed at tarnishing his image at home and abroad and is a clear case of libel. The letter read in part, “We act as solicitors to Rt Hon. Yakubu Dogara, Speaker of House of Representatives of Three Arm Zone National Assembly Complex, Abuja herein after referred to as “our client” and on whose instructions we write this letter to you. “The attention of our client has been drawn to a libelous press statement you issued on Monday 25th July 2016 which was made available to members of the press (print and electronic media) titled “THE CORRUPT SPEAKER YAKUBU DOGARA AND HIS 3-MAN CABAL”. “In the said publication, you published words to the following effect concerning our client and three other principal members of the House of Representatives- “Honourable colleagues and fellow Nigerians, I wish to make further revelations. Speaker Yakubu Dogara and his senior cabal namely Deputy Speaker Lasun, Whip Doguwa and Minority leader Ogor has (sic) promoted corruption so badly in the House that if President Muhammadu Buhari with his disdain for corruption and corrupt people have the slightest idea, he will ban the QUARTET permanently from the Villa before they eventually allow for proper and unbiased investigation by the House. Mr Speaker and Deputy Speaker Yusuf Lasun diverted millions of Naira all in the name of paying for guest houses and official residence. The issue became so messy that the Deputy Speaker openly accused Hon Herman Hembe of short changing them of millions of naira in the deal to the shock of many Hon Members. Speaker Yakubu Dogara frequently abuse his office amounting to conflict of interest by soliciting for inappropriate favours from agencies and Multinational companies. 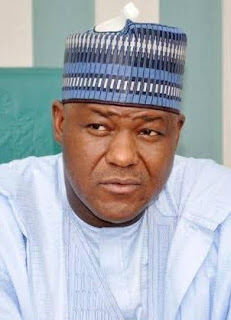 He forced an agency to grant loans and a construction company blackmailed to do some work at his Asokoro ‘plot’ Speaker Yakubu Dogara has carefully designed a scheme to scam Hon Members through deduction from their salaries certain amount of money for a so called mortgage arrangement to build houses for members. He has been applying every under hand tactics to ensure Members agree to the deal. “Speaker Yakubu Dogara has consistently refused members access to the financial dealings and internal budget of the House. He runs the financial management of the House like a cult aided and abated by the Chairman House services Hon Babanlle Ila. It is no longer news that all over the House, Hon Members are aware of the monumental fraud perpetrated by Speaker Yakubu Dogara in this regard. We are even told that this is a child’s play compared to the mess and allegations of money laundering he left behind as Chairman house services in both the 6th and 7th Assembly. The EFCC should have something to start working with in respect to his tenure as Chairman House services if they properly dust their files.” “These members of the body of principal officers were not comfortable with my independent disposition and my refusal to cover up their unilateral decision to allocate to themselves N40bn out of the N100bn allocated to the entire National Assembly. The four of them met and took that decision, in addition to billions of wasteful projects running to over 20bn, they allocated to their constituencies. They must come out clean. My inability to admit into the budget almost 30bn personal requests from Mr. Speaker and the three other principal officers, also became an issue.” It continued, “The personal references are obviously directed at our client, and amount to a very serious libel. “By the said publication and without putting to the public any shred of evidence, our client is portrayed as a criminal, corrupt, dishonest, fraudulent, dishonourable and unfit to hold the position of Speaker of House of Representatives. “Our client’s reputation has further been brought down in the estimation of right thinking members of the society and he has been thrown into public opprobrium, odium, scorn and ridicule. “Consequently, we consider your publication on the matter as not only libelous but made in bad faith; an act of vendetta owing to your recent removal as the Chairman of House Committee on Appropriation. “The said publication is also aimed at causing disaffection between Nigerians and members of the House of Representatives. “Sequel to the above, we have to request you to submit immediately to us a clear and unqualified apology and retraction of the publication in an equally conspicuous position in all the print and electronic media where the publication appeared. “TAKE NOTICE that in the event of your failure/refusal to comply with the above mentioned demands within seven (7) days of your receipt of this letter, we have further instructions to institute a suit against you in a court of law. If we have to pursue this course, we shall be claiming aggravated and exemplary damages. Yours faithfully, For: Professor Joash Ojo Amupitan (SAN) & Co Professor Joash Amupitan, SAN Principal Partner.” Recall that Jibrin has been circulating all manner of falsehoods against the speaker after he was removed as the chairman of the committee, a decision the whole House took after due consideration of his gross incompetence and immaturity to handle the position of Appropriations Committee Chairman, among other issues.